Yesterday, I met a dedicated group of young artists who have been active in street art for some years now in Toronto and around the world. These young artists are Shalak (Elisa Monreal), Smoky (Bruno Sant’ Angelo Revitte) and Fiya Bruxa (Gilda Monreal). They were working on a mural for a soon to be launched restaurant in Mississauga’s Port Credit neighbourhood. 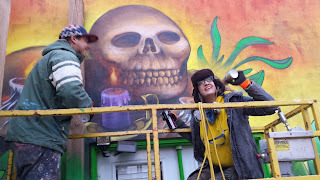 I had seen their work recently at the Caledonia and Lawrence Avenue intersection below a railway bridge at Benton Road. And, of course, they had also been involved with the Pan Am and Para Pan Am Games held in 2015 in Toronto. I’ll be interviewing them in June for TAG TV. Shalak and Bruno seen in these photographs are husband and wife, and Fiya is Shalak’s sister. While Shalak and Bruno were busy giving finishing touches to their work, I got talking to Fiya. 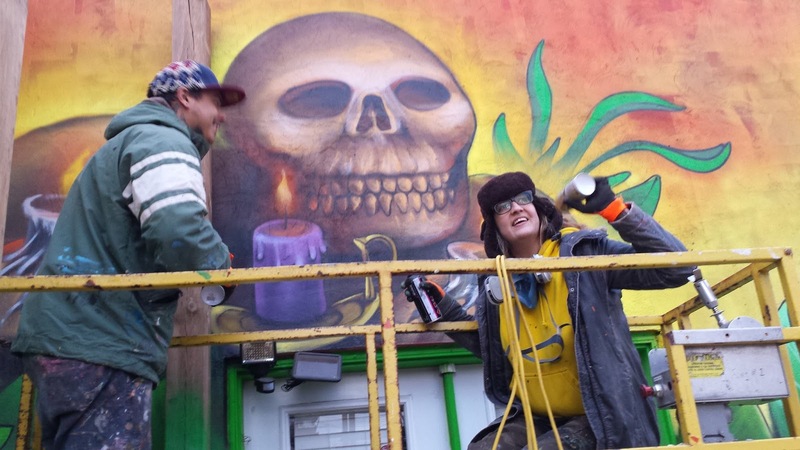 What explains the growing acceptance of street art, I asked. It now has corporate backing, she said. That is a sure sign of gentrification, Fiya added, with a touch of annoyance. 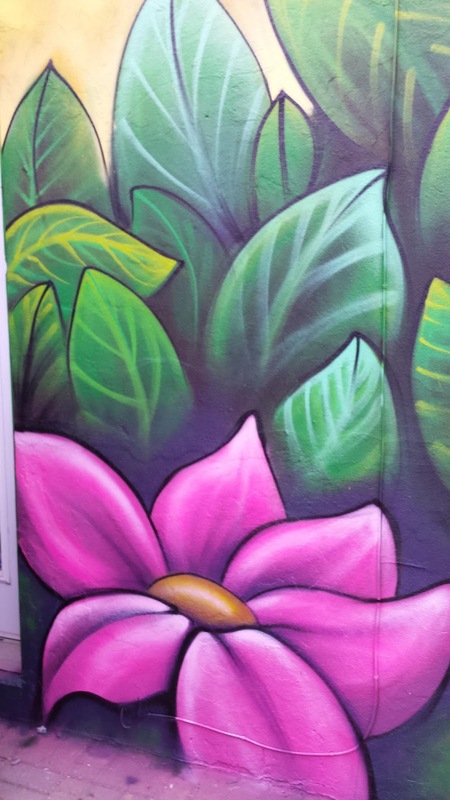 She cited the example of the street art at Queen Street W in downtown Toronto, and how it has become a tourist attraction. If that is the case, I said, isn't it is turning into a complete antithesis of what it was meant to be – a potent instrument of protest against not just the established norms of art, but also against civil society. She seemed to agree briefly, but then Fiya said it’d be grossly erroneous to interpret street art as vandalism. Society continuously vandalizes nature to sustain humanity. It's all a question of how one sees the situation, Fiya said, and then thoughtfully added, three-hundred years from now, when future historians will look back at our times, they will wonder why were a legion of kids and young people were painting graffiti on the walks of public property across the world, and why was the world not acknowledging this as art, but only as vandalism? 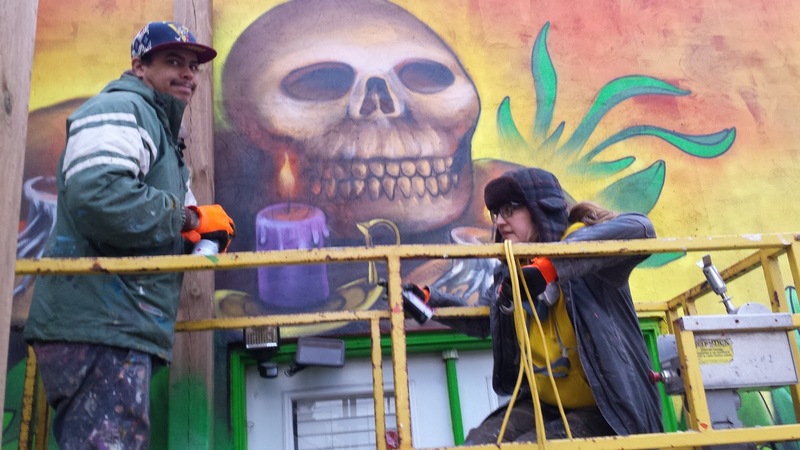 Fiya said the confluence of graffiti and murals has given street art in North America a new acceptance. Here are some photographs and a video clip of the team at work. Please pardon the amateurish and shoddy clip. My enthusiasm is inversely proportional to my video-making abilities. And don't forget to watch my show Living Multiculturalism on TAG TV where I'll be talking to the three young artists. renowned author and immigration activist. I first met her when I was a student at Sheridan College’s now defunct program in Canadian journalism for internationally qualified writers. Patricia Bradbury invited her to interact with students. And with that uncanny knack that I have of turning near-perfect strangers into near-perfect enemies, we got off on a wrong start. But it was Katherine’s magnanimity that she overlooked my transgressions, and continued to extend a cordial but firm support. Her exquisite collection of short stories The Immaculate Conception Photography Gallery introduced me to her writing, and I was to discover that she began her career as a writer in 1979. 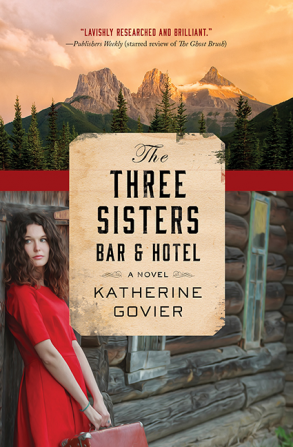 Earlier this month, Katherine published her eleventh novel The Three Sisters Bar and Hotel. In 2009 she started sending periodic Postcards to a select group of “correspondents”, and I was privileged to be amongst the recipients. Always personal, often idiosyncratic, these Postcards give a rare insight into the life of a prominent Canadian author. My first book, Random Descent, made its debut in February, 1979. The novel was hardcover, and priced at $12.99. I did a reading at 21 McGill Street with Robertson Davies, who taught me how to autograph: you sat at a desk and your wife stood off to the left, ushering people into an orderly line and ensuring that each of them had one – and only one – freshly purchased book for signing. You took a good quality fountain pen, opened the proffered book to the half title page, carefully crossed out your own name where it is printed under the title and with “by” above it, and wrote your signature in a beautiful, cursive script, before the awestruck crowd. Ah yes, well much has changed. 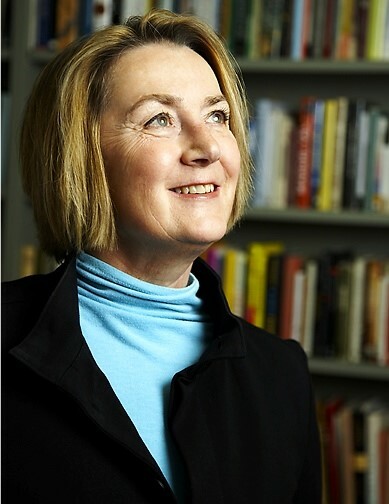 In addition to be a renowned author, Katherine is an ardent advocate for newcomer integration into the Canadian mainstream, and has been working tirelessly for this cause. About four years ago she launched the Shoe Project to create a platform for immigrant women to share their stories. People ask me why I have taken on this work—why when I’m busy, why when I could be doing my own writing, why when I could be holidaying in Mexico, why when adult immigrants to Canada whose first language is, say, Tamil, are so difficult to coach as writers in English. The Shoe Project is literacy. The novel is literary. These are considered in our country to be two entirely different things. I’d like to introduce a new thought: this distinction is a form of discrimination. It is like racism. The writing of a person who does not use the correct adverb or misses the past tense of a verb or chooses a generality because she doesn’t have the broad vocabulary of a native English speaker is deemed not publishable, not artistic, not worthy of support of the literary establishment, the granting agencies, not worthy of the time spent to fix it by newspapers or radio. It is pushed downwind into “literacy”— which means “there are ESL issues”; it doesn’t count, and can’t be published. But with advice from peers around a workshop table, coaching, editing, and copyediting- which, frankly, native English speakers need too- That same story becomes vital, informative and urgently to the point. Great stories get lost between languages. The launch event at Ben McNally bookshop in downtown Toronto was a grand success. The second annual Avie Bennett Chair in Canadian Literature lecture series (Literature Matters) featured Denise Chong and Madeleine Thien, and Professor Smaro Kamboureli, the inaugural Avie Bennett Chair in Canadian Literature at the University of Toronto, moderated the conversation between two women of letters. 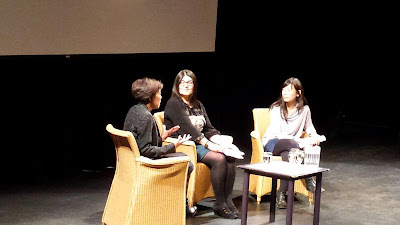 Denise Chong, acclaimed for her family memoir The Concubine’s Children, spoke about ‘Literature and Rendering Memory’. Narrating snippets of conversations and reactions she had gathered while researching her creative nonfiction works Stories of Fate and Circumstances (which is a sort of sequel to The Concubine’s Children), Egg on Mao: The Story of an Ordinary Man Who Defaced an Icon and Unmasked a Dictatorship, and The Girl in the Picture: The Kim Phuc Story. Egg on Mao is the story of Lu Decheng, a Chinese bus mechanic, now living in Calgary, who protested against the totalitarian Chinese regime by defacing a portrait of Chairman Mao Zedong during the 1989 protests in Tiananmen Square, and The Girl in the Picture is a memoir of the Kim Phuc, the girl burnt by napalm attack in Trang Bang, Vietnam, and made famous by Associated Press photographer Nick Ut. In a brief but engaging talk, Chong said the main task of the writer is to mine what resides in memory, and turn knowing into telling. As a writer, she said her job is to discern what is not being told. She said the word ‘Matters’ in the title of the lecture series ‘Literature Matters’ should be used both as a noun and as a verb. Chong added that memory matters because it is proof that we matter. As a writer, she said, she makes the choice to pry. She also spoke about appropriation of memory, a concept propounded initially by Oliver Sachs in his essay Speak, Memory (published in 2013 in the New York Review of Books). Madeleine Thien, acclaimed novelist and winner of the Frankfurt Book Fair’s LiBeraturpreis for her novel Dogs at the Perimeter, made a presentation titled ‘The Field of Sound: JS Bach, China and the Possibilities of Personhood’. A substantial part of her presentation is her research for her forthcoming third novel Do Not Say We Have Nothing about musicians studying Western classical music at the Shanghai Conservatory in the 1960s. Thien said in non-western traditions, the connotations of silence is not just an absence of sound. It is often the manifestation of falsehood that societies force individuals to utter, which drives them to silence. 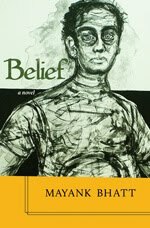 She illustrated her argument with short biographies of Dmitri Shostakovich (1906-1975), the Russian composer persecuted by the totalitarian Soviet regime, and He Luting (1903-1999), the Chinese composer persecuted during the Chinese Cultural Revolution – a period when it was ‘very hard to be a person’. Thein then described the oppressive Pol Pot regime in Cambodia, during which time, the Khmer Rouge resorted to destroying the listener to destroy sound. Her presentation was interspersed with musical interludes that accentuated her point of view. A brief discussion between Chong, Thien and Kamboureli followed Thien’s presentation, and the program concluded with a Q&A with the audience. A continent whose prosperity is largely based upon the exploitation of its colonies for over four centuries is today unwilling to give shelter to people without hope. Europe today in the throes of xenophobia the likes it last witnessed during the persecution of Jews. The critical value at stake in the ongoing refugee crisis is humanitarianism versus national interest, and all of Europe (perhaps with the exception of Germany) appears to be favouring narrow national interest. Dr. Khalid Koser is the Executive Director of Global Community Engagement and Resilience Fund in Geneva, Switzerland. Among many other things, he is the editor of the Journal of Refugee Studies. He is an expert in many spheres including global migration, refugees, internal displacement, governance, human security, community engagement and counter-radicalization. Dr. Koser was in Toronto recently to deliver the Global Diversity Exchange Annual lecture on the refugee crisis that Europe is grappling with, and evidently not doing too well for itself. He is a keen and articulate advocate of permitting refugees from Syria into Europe. His perspective on the perceived enormity of the crisis and its resolution is simple: Europe should not lose sight of its democratic and humanitarian traditions that go back many centuries. He believes that there is a strong dissonance at present between the perception and the reality of the crisis. The three solutions that he offers to overcome the present paralysis on the refugee question are extensive education of both the European population and the refugees, a proactive political leadership (exemplified by Germany Angela Merkel, but lacking everywhere else), and a more responsible media that is constructive in dissecting and discussing the issue. He advocated for an objective debate on the subject where nobody is expected to change their views, but understand what the other side brings to the table. Dr. Koser believes that better solutions will emerge if and when the private sector and administrations of cities are involved in finding solution to the crisis. European governments are not coping with the crisis because of lack of political will. As an example of this absence of political gumption, he states that in comparison to Canada’s decision to permit 25,000 refugees from Syria, the United Kingdom has announced that it will permit 20,000 refugees over a period of six years. There is a clear disconnect between the short-term goals of political parties and the long-term benefits of immigration. He is highly critical of European governments, and believes that European governments have lost all moral rights to criticize Pakistan and Iran, the two countries who have accommodated millions of Afghan refugees within their boundaries for more than 15 years. Dr. Koser also believes that there is clearly shrinking space for a more constructive dialogue on migration. Contrary to popular perceptions, which political leaders accentuate for narrow political gains, migrants don’t compete for jobs, they contribute more to the economy than what they get initially, and they are definitely not terrorists. The refugee crisis has global dimension, and he argues that proximity should not be equated with responsibility. However, this is easier said than done. At present Turkey is bearing the brunt of the crisis with over two million refugees from Syria within its borders, and though it has recently closed its borders, Dr. Koser predicts that it would be cajoled by the European Union to reopen the borders. He warns that the challenge the influx of refugees from Syria and North Africa pose to Europe has only just begun. Compared to a million refugees in 2015, the numbers will be substantially more in 2016 and 2017. In a startling revelation, he said in 2015 more than 3600 refugees trying to reach European shores illegally were drowned in the Mediterranean Sea. He lauded Canada for allowing 25,000 refugees in 2015, but said it could do more.